Well, I sort of answered at least part of the question (eventually), but along the way the topic of using super types and sub types came up. 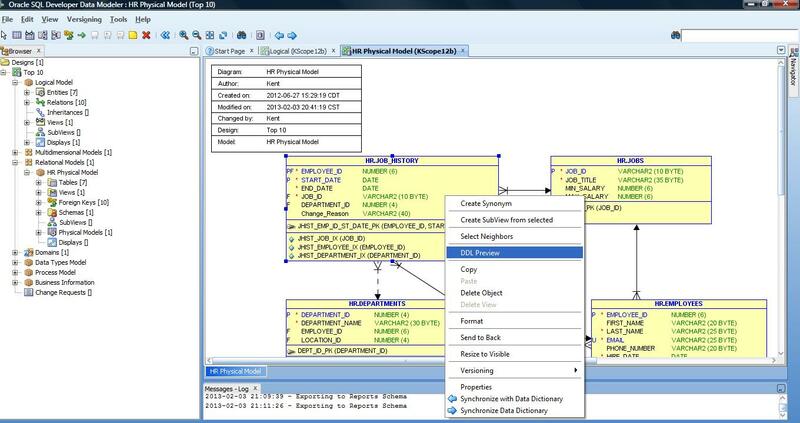 So, in Oracle SQL Developer Data Modeler (SDDM for short, or #SQLDevModeler) you can specify sub type entity relationships in the Logical Model (not relational or physical). 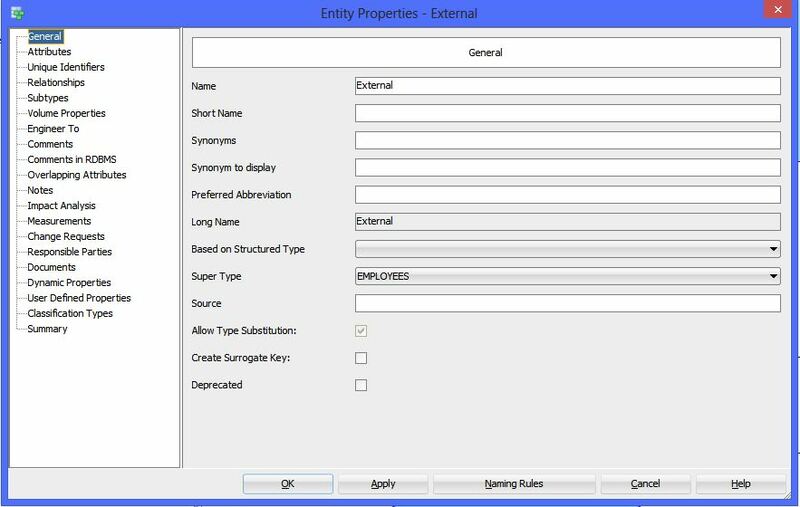 Set the Super Type Entity property on the candidate Sub Type Entity to associate it with the parent. Note in the screen that Super Type is set to Employees. If you turn Box-in-Box off (right mouse on white space in the diagram then go to Notation), you can drag the sub types outside the super type display and a red line will be displayed to connect them together. Notice the little red lines with arrows pointing into the Employees entity? That is the sub type relationship. So depending on your personal experience and style, you have a few options to choose from when modeling these type of relationships. 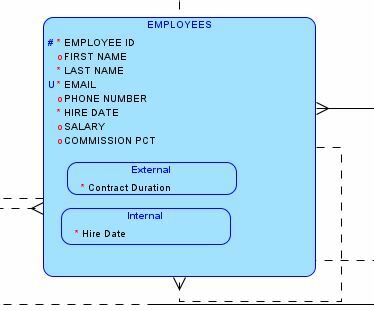 How this converts to a database table design is a whole other (and longer) topic. 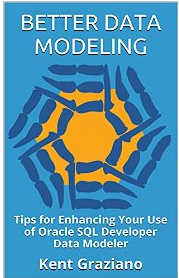 If you really need to know now, go buy Heli’s SQL Dev Modeler Book and read the section on Inheritance. Or you could sign up for my online Intro to SDDM (use coupon code GRAZIANO10S for 20% off). Better Still – do BOTH! P.S. I will be speaking at ECO15 in Raleigh, NC next week. If you are attending be sure to say hi. tables for supertype and each subtype with one to one relationships super to sub. Yup! All those options are there in SDDM too. Heli’s book (and my training class) go into all the details on those options and how to make them work. Just like Designer there are lots of choices to make and each one gives a slightly different physical model. BTW – SDDM does arc relationships too just like Designer did.